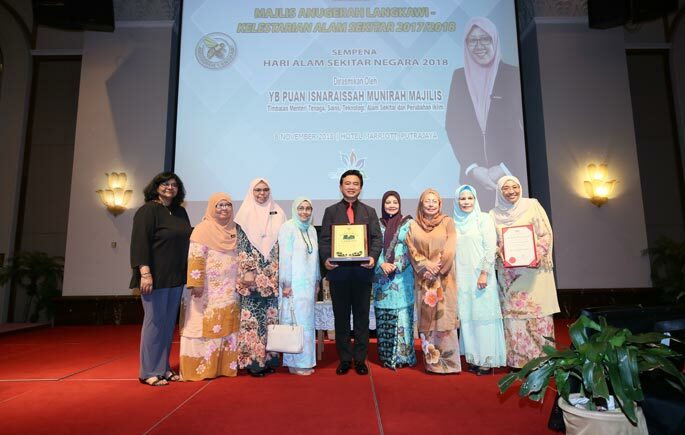 PUTRAJAYA, November 22, 2018 – Former Vice-Chancellor Research and Innovation Affairs of Universiti Kebangsaan Malaysia (UKM), Prof. Dato’ Dr. Mazlin Mokhtar has received the Langkawi Award – Environmental Sustainable 2018. 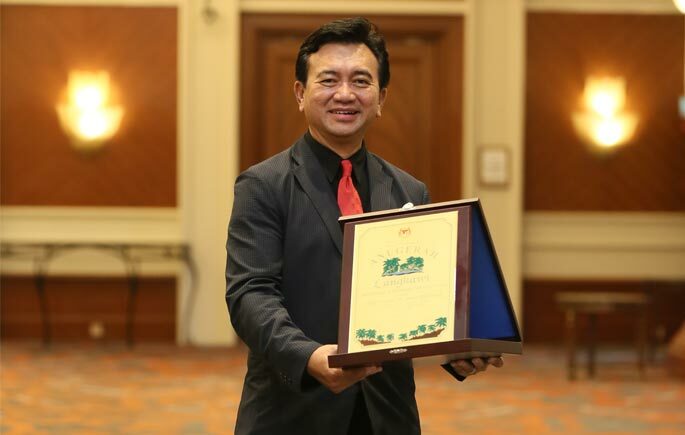 He received the award on his significant commitments and contributions towards enhancing the well-being of the environment and the quality of life of the people. His contributions cover both impact and cost to the environment in line with the Langkawi Declaration. 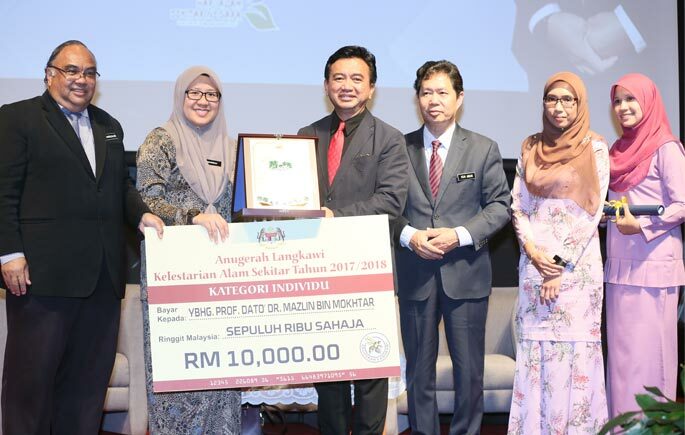 The Langkawi Award – Environmental Sustainable 2018 is a tribute to Malaysians who have contributed significantly to the environmental sustainability. The award was one of the conjunctions with the Malaysia Environment Week (MASM), in line with the Langkawi Declaration signed by the Commonwealth Heads of State in 1989. Since its introduction in 1991, six experts from UKM include Prof. Dato’ Dr. Mazlin has received the award. They are Prof. Emeritus Dato’ Dr. Sham Sani (1994), Prof. Emeritus Tan Sri Dr. Zakri Abdul Hamid (1998), Prof. Emeritus Dato’ Dr. Abdul Latiff Mohamad (2004), Prof. Emeritus Dato’ Dr. Ibrahim Komoo (2008/2009) and Prof. Dato’ Dr. Sharifah Mastura Syed Abdullah (2014).